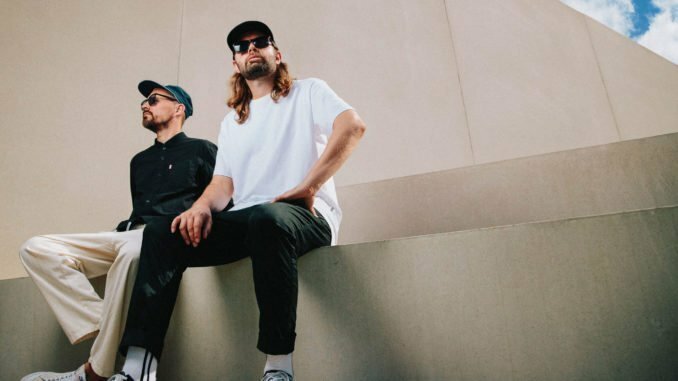 Electronic hip hop duo Hermitude are back with their second release of the year ‘Every Day’ featuring Australia’s front runner of experimental soul and future R&B, Hoodlem. With breezy vocals, measured verses and pulsating rhythms throughout, it is a testament to the upcoming summer months and sees Hermitude at their most pop. The Hermitude story is one marked by stark creative evolution, diversifying music styles and hunger for constant elevation. Since the early 2000s, El Gusto and Luke Dubs have been exploring the wide sonic territory both individual and group influences have formed and it’s their chemistry together that has marked for the undeniable and astounding achievements they have accomplished to date. In what seems to be a celebration of a new direction for Australia’s most endeared pop act, we’re definitely in for some revitalized and fierce new tracks this year!